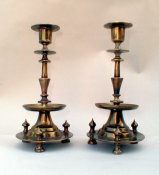 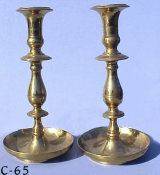 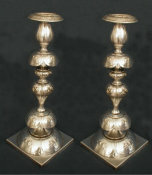 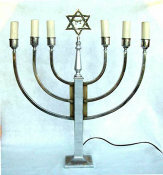 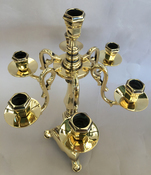 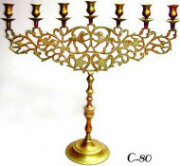 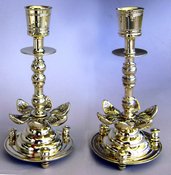 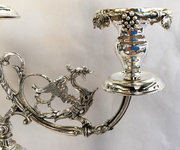 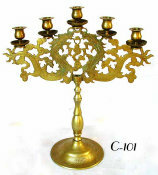 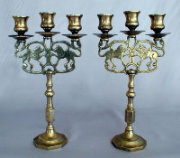 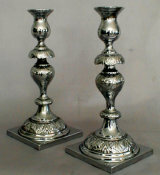 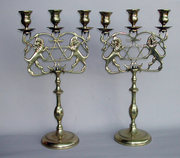 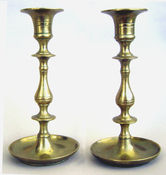 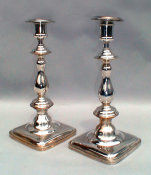 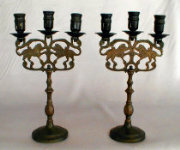 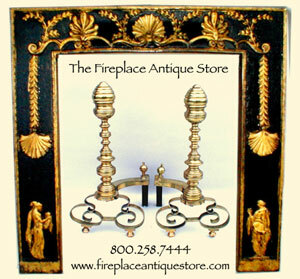 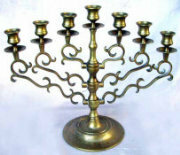 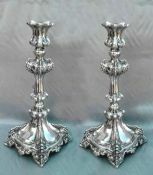 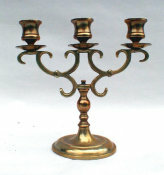 Beautiful matched pair of 3 Light Candelabra. 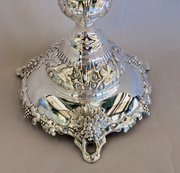 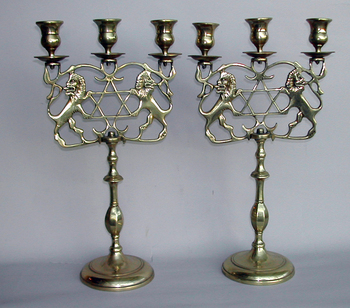 Hand made with rampant Lions of Judea supporting large Stars of David in framwork. 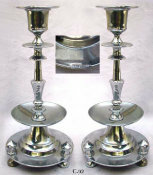 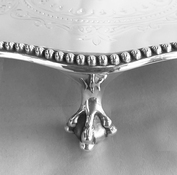 Faceted knopped stems, hand turned screws, and candlecups with drip pans. 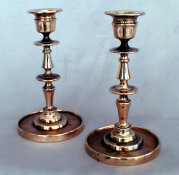 Beautiful golden brass. 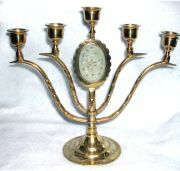 Poland, c 1890s. 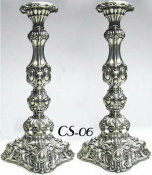 $950 each, $1800 for the pair.